Do you work for Google Voice? Learning about Google Voice? We can help. "Best use for cold calls"
How easy it is to use and how I can add multiple team members' phones to the account. When we do add multiple phones, all of them ring and whoever can pick up will pick up, it is convenient to talk about certain research participants. Everyone uses the same password to login and it doesn't seem super secure. Also, the log of calls we make isn't very clear and organized and hard to look at in general. It is better than most other programs, but does take a while to get used to in terms of the interface. We are able to make all the calls we need in order to reach out to participants and new recruits in a timely matter with everyone using it at once. Before that, only one person could make calls at a time and only one person could answer when people called back. "Google Voice helps connect me to our business's customers"
I like how Google Voice gives us the option to use a landline phone, connected to our Obihai200 device. It makes calling crystal-clear, even when I use the smart phone that my company bought me. This is because Google Voice uses VoIP technology, rather than regular calling signal. Google Voice transcribes voicemails to my company email address, and texts as well! I can reply to emails to text customers back, which is very helpful. I dislike Google Voice's initial setup. Since we were initially set up our company's number on a cell phone, we had to port the number from our cell phone to Google Voice. And since we were using an MVNO, we had to use the last 15 digits of the SIM number for the account number, and guess our way through the service options. Then, we had to pay for an adapter and a landline phone battery, as well as Verizon FiOS internet. I also dislike the initial setup process, where call screening is enabled by default. It should be disabled; it confuses customers. When switching to Google Voice from a cell phone number, be sure to know how your MVNO (if applicable) translates to the 4 major carrier system. Also, disable call screening. Google Voice allows us to respond to our customers over Hangouts on any device. I realized that a simple $20 porting fee and a simple $50 investment for the Obihai200 allows for crystal-clear calling on both mobile phones and our landline phone system, in addition to voicemail transcriptions and email-texting features. Plus, our company saves $20 a month, as we do not have to pay monthly for Google Voice, rather, we use our Internet bills (data and ethernet). I conduct interviews via phone that get recorded into the computer for a show, and Google Voice is my go to service for all calls. It's great for both domestic and overseas. I'm worried it will get shelved at some point. I need to interview people all over the world and have decent audio quality recorded, and Google Voice allows me to do both things. I use Google Voice on a regular basis for both calling and messaging. One of my favorite things about Google Voice is that you have the choice to either choose to use your current phone number or to pick a new phone number - a phone number of your choice! I love that about Google Voice. Especially since I live in one state and have a large pool of customers in another state, Google Voice has allowed me to now have a number with an area code that I chose, from the area in which I don't live but have a lot of customers. I also like that Google Voice has many features to choose from - another of my favorites is that you have the option of having incoming calls be answered directly or having the caller have to first announce their name - which you can listen to before deciding whether or not to answer/accept the incoming call - a great way to screen those unsolicited marketing calls. It is hard to find something to dislike about Google Voice. Honestly, the only thing that I have found to dislike about Google Voice is that the application tends to crash on a pretty regular basis. While it doesn't usually crash during a phone call - when browsing the application or sending messages, it does tend to crash out of nowhere often - causing you to have to restart what you were doing and send a crash report (which is optional). I recommend Google Voice for those people who want to be able to choose and customize their own phone number - whether you want to pick your area code or pick a phone number that has numbers that spell out a word that goes along with your business or that is memorable to customers - it is such a unique application. Google Voice allows me to screen those unsolicited calls by having the incoming caller announce their name before I choose whether or not to accept the call. This saves a lot of time that was wasted on answering and dealing with those frustrating marketing calls. Google Voice also allows me the option of having all voicemail messages transcribed and sent to my email! This is so essential for business, having those voicemail messages that need to be passed on to another person or coworker now able to be forwarded in the form of an email - before Google Voice, those messages would have had to be typed out in an email before being able to be passed on to a coworker. "I adore Google Voice - a very powerful personal communications tool"
Google Voice is a wonderful product that works across multiple devices seamlessly. I have it installed on two different iPhones, on several computers as a Chrome extension and, most recently, on a Kindle Fire. As an app on my phones and Kindle, Google Voice provides me free text messaging and a central point for communications. GV is great website because a user can leverage Google search feature. It's so easy to find old text messages or phone calls. And, I enjoyed picking a phone number that was not in my local area code. I love that, if someone calls me and leaves a message, GV transcribes the message, shows it as a text and also sends me an email with the voice message and transcription. Finally, the ability to sync devices and phone numbers, take calls inside gmail, customize rings and messages based on who is calling, record calls and save texts forever make Google Voice an integrated and integral central communications hub. Google Voice does not allow for sending short codes or pictures. It can receive pictures, however the actual image is sent to the user's email account. I do not believe the iphone app has been updated in quite some time. It's still very functional, however it doesn't have the robustness of the web version. There are many web to text products in the market. If reporting is important to you, Google Voice may not be the best solution. My company opted not to use Google Voice, however I've used the product since 2009, and I believe it's a wonder solution for a small business. Google Voice is free and provides so, so much user power, flexibility and customization. I send text messages directly from the Chrome extension while I'm working. This saves me time (because I'm typing on a keyboard) and lets me respond without checking my phone (which can be a distraction). "Great option for secure calling"
I like the function where this app will give you the option of using a "fake number" to contact clients or vendors when providing your personal number is not ideal. I dislike the ability to separate the texting from your actual phone texts. This is where I opt to email instead of text if calling is not convenient to the other person. When using this product, I have used a "fake number" so if you choose to use your real number, I don't see this being an issue. I recommend communication via email vs. texting with this app if you choose the option of using a "fake #" I find this to be more organized and a better functioning software option. The texting feature and the voicemails are not always noticed, slowing down communication and work productivity. "Lifesaver- couldn't teach without it"
I would absolutely reserve a Google voice number. It is useful for more than just business. Google Voice is great as a "disposable" phone number for telemarketers, etc. I use it for all my savings cards, like grocery rewards cards. I give it to websites needing a phone number. It allows me to keep my number safe. It also allows me to keep my personal cell phone number private. I frequently use my cell to speak with students and love the fact that I can keep my personal number private. For work, the ability to see my own call logs easily, block numbers, forward voice messages, save and change voicemail, use Do Not Disturb, star messages, see messages transcribed with visual voicemail, easily link or unlink a phone, set up voicemails specific to certain callers, and text from the computer are all things I couldn't live without in my line of work. Google Voice gives you a free phone number. Super useful. You can use that extra phone number as a phone number to use for listing on websites, filtering calls, and not having to worry about giving out your main phone number. It is quite convenient and useful. It also transcribes voicemails and emails them to you. Google Voice is very limited in its use. There is not a lot of other uses for it. It has not really progressed over the years. The voice mails are also not 100% accurate either. Definitely worth using. Not a lot to the product but very useful nonetheless. It is free and very useful to have an additional phone number you can use and list on websites. It allows you to have a business phone number without paying for an additional phone and phone line. I haven't used much of the customization but it does what I need it to do. I love the ability to send and receive texts from my computer. I can keep working without stopping to check my phone for work related texts. If you send a group message, any responses will come in individually and not everyone on the message will receive responses. This is best for single messages. Overall, a user could just use a group chat for better functionality. Additionally, not every phone number will carry over, so you'll have to sign up for a number that's available on Voice (some phone numbers will transfer over, and you can check all texts on Voice). The interface is pleasing and the computer notifications are great. While there are issues that I'd like to see fixed with Google Voice, overall it's a very helpful tool. I utilize Google Voice for my business, I love that it seamlessly integrates with my phone, I can text, and I can set "sleeping" hours for it to not ring when my office isn't open. I also love that I can transfer who the calls forward to based on who's in the office (if I go on vacation). It hasn't been updated in eons, and I worry they may add it to the list of apps they no longer offer, which would be a huge shame because I'd pay for the service as part of google apps for business. It enables me to separate my business from my personal life without the hassle of having a dedicated phone line, especially the costs associated with setting up that kind of phone network to work in all the places I go and enable me to easily swap it to my one employee when I go on vacation. "Love Google Voice, Perfect for a remote working and having a US cell number"
I love having a US cell number that is free to call and text anywhere in the United States and just add credit to call anywhere in the world. The Google Voice system works just like a normal cell phone number on Wifi/mobile data, you can receive calls from anywhere in the world and you can also do everything from a google hangout app on your phone or the google voice website on your desktop. Google voice also have the ability to easily send out text messages in a text message blast campaign linked up with Google Sheets. I would this service to be available overseas with the ability to get a local number in each country, but otherwise, i can't complain about a free awesome service like google voice. Easy communication with clients in the USA, I can send them a text message to come to their computer to review website changes I've made or be easily contacted by them. "Very Good App but could be better"
Also if you made it cheaper it will be much appreciated. You are Google so i believe that you have the enough resource to enhance the iPhone application user interface make it more usable. "It was innovative once, but its development has stagnated." Google Voice does a mostly competent job of routing phone calls from a single inbound number to multiple numbers of your choice. It can announce calls, filter unwanted calls, and transcribe voice mails. Once upon a time use of software like this (a similar product was "Wildfire") was exotic, and I was an early user of Google Voice back in that era. Now it seems that the system isn't so new anymore. The product seems to be in a Google stasis, with no particular further innovation or changes for a number of years. It's still plenty reliable, but because it's not still evolving you wonder if Google is bored of it and fear that Google will abandon it having served its purpose. Google users remember the experience of investing time in Google Reader only to find that Google stopped caring, and there's a genuine fear that Google Voice will suffer the same fate. I would look at open source SIP products like Kamailio as a platform for taking on the challenge of routing calls and handling voicemail for an organization. I needed a stable voicemail platform that transcribed messages, and Google Voice does a good job of that. It's good for inbound calling, and if you are careful you can avoid unneeded toll costs with its use. "Great for business and personal needs"
I like the privacy and mobility the google voice affords. It allows me to do business and networking without the concern of giving out my direct phone number. The voicemail text version is helpful when I'm on the road for work and cannot get to my phone. It has been helpful for travel out of my usual area and when I wouldn't otherwise have cell service. I would like to to appear on my phone during cal forwarding that the call is coming from voice. I do not know until answering the call if it is from google voice, then it also doesn't let me know if it is a call from a specific forwarded number, which would be helpful. If you travel internationally, or prefer to have a separate phone number for your business this is a great alternative. Be sure you are calling back and texting back through the google voice app and not your main number. Mobility and a business phone without the need or cost of another line. "Useful and FREE phone number"
I have been using Google Voice for over 7 years. I use it for my website contact number as well as for online forms (to prevent spam). I like that the service is free, easy to use and has customization features. Sometimes the voicemail transcripts are not accurate but I understand that they are computerized. I have found this service to be the best option for me. I would recommend using Google Voice phone number for both commercial and personal reasons. Google voice helps to keep unwanted spam and callers out of my personal phone. "Google Voice: Your International Contact Number!!!" Google voice helps out with providing a international phone number. People can call you using this number and leave voice mails to you! We do not have to reply on a network provider to give us a Phone number while we are visiting out. But Keeping this Google based phone number can help others to reach us anytime! I am happy to have a Google voice number and I can provide this number to my friends who can call me anytime. 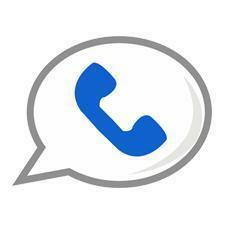 Google voice number can not be easily used with text messaging services. I tried to use my Google voice number with whatsapp but it did not work. If we can use Google voice number with text messaging service, it would be really helpful. If you want to receive calls online, Google voice is one of best available solution. Even if you have less budget, you can register for Google voice to get the incoming calls right away! I got the google voice number so that my clients in the USA can easily call me. My number is USA based and people can dial this number easily from USA. Google helps me getting the calls from this number even If i am in a different part of the world. "One of the best products available for free"
The ability to receive calls and have it ring my work phone, my computer, my cell phone, and any other phone I connect is AMAZING. I really appreciate the ability to screen some of my phone calls and the ability to have my voicemails automatically transcribed for me. It makes my life so much easier. I dislike that the app on android causes some glitches like sometimes when it's attempting to route the call through google voice it does not allow the call to go out and puts itself in a loop. Use google voice to make it so you can pick a phone number for yourself to call all of your lines simultaneously and have your voicemails transcribed for you. I am solving the problem that I can use multiple phones to answer the same call. "Easiest app phone service to use"
The sign up process is the easiest. Also it was free to sign up and use, no hidden fees. This is a good service when you do not want someone to have your number, but don't want to call blocked either. I have not had any issues calling or receiving calls from this service. I've tried other WiFi call apps and they all have ridiculous ads and it makes it complicated to make a call. I do not have any dislikes at the moment. I love using this app when my phone is dead because it allows you to use a desktop or tablet, which a lot of apps do not. That you can have one single phone number for life, and you can forward to that number as you see fit. That international calling (at least to Central and Latin America has become unusable. How can you justify that 1) it works correctly for the first 30 seconds, then after that the recording of the conversation from the other party replays constantly in a loop, and you keep responding until you realize that this is just a recording of the first 30 seconds. How can you justify that? If you have a bad connection, I understand having a distorted or intermittent sound, but having a recorded conversation fragment repeated in an infinite loop is unjustifiable, and this has been going on for two years, but now it is unusable, and 2) sometimes you cannot even get a connection, but whether you get a connection or not, or whether the conversation recording repeats itself, you try the same call via Whatsapp and it works like a charm !. So i am no longer using Google and have gone to T-Mobile which has an impecable connection and quality. Having one single phone number for the life of the business. I Use it for my company so I am not distracted @work. And they when you miss a call. "I love it! Amazing product!" I love the fact hat I don’t have to use my device’s original number and I can use Google Voice as my business number. I dislike that I crashes on my iPhone. Works smoothly on Android. It allows me to screen calls, do conference calls, and record calls as well. I like the free number and phone use over WiFi. I use it more then I use my main phone number. It's perfect for sending and receiving Text Messages. For some CRAZY reason, the new Google Voice removed the delete button. The reason it is needed is, say someone texts you something you find offensive or you just don't want it on your phone... You can Archive it, but you can't delete it unless you use the "Legacy Google Voice" online. Someone dropped the ball on the new build! "Latest version of the web site broke a key feature"
Multiple phones, one number. Keeps personal and business separate on one phone. Used to allow dialing an arbitrary phone no. and choosing which of my phones to use for the call. The latest update to the web site broke this. Copy a number from an email and paste it to GV to be called using my choice of desk or mobile phone. "An easy way to communicate"
That I can send and receive text messages and phone calls without giving out my personal phone number. Sometimes when I have my Google Voice number forwarded to my cellphone it does not ring and goes straight to voicemail. It is very easy to setup and use. It send transcribed text messages when a voicemail has been left. "Decent service, good for work"
We use this to message providers for patients, it is a nice, free, easy service to use. Not the best layout. Sometimes you have to search for the name if an earlier text was sent to them. It is a nice service to have to use for company communication, and is free. This is an easy way for us to get a hold of the physicians when needed, and quickly receive responses. Having a secondary phone number comes in handy for an email signature or business cards and I love the transcription of voicemail to email! This is a great phone solutions for small business, start ups or freelancers who want a dedicated business phone line for minimal investment. Google Voice provides a dedicated phone number for marketing purposes and provides the ability to send as receive phone call/text messages from the Google number. I was able to have an alternate number to give to clients instead of giving them my personal phone number. That at times it would randomly sign me out of the app. This became difficult if I needed to make a phone call from this number. I also would turn off the app on weekends but work calls would still come through. My company not providing work cell phones. "Call Forwarding, Voicemail Transcription: Excellent"
Google Voice brings almost all of my communication needs into one pipeline. I barely have cell reception in my office, I don't have a home phone number, and I keep strange hours. By primarily using my Google Voice number and forwarding calls to both locations, I maximize the possibility that I will be reached. The voice mail transcripts allow me to "get" my calls, even if I am in a meeting (and don't mind checking my phone). The transcription works fairly well, depending on the accent and background noise on the call. I usually don't need to listen to the call itself. There is almost nothing I dislike. I am "using" it constantly, but rarely use the interface. This means that I am not very familiar with the features and settings - especially when they are changed. It is $20 to port over a number from a cell phone company - this has been absolutely worth it. Unfortunately, it is associated with a Google account that does not have the majority of my contacts in it. This means that setting up the calling rules for different groups of people is less effective than it otherwise could be. Google Voice provides the ability to be reached at multiple locations - or not to be reached by the wrong people. When moving across the country, I was torn between getting a new "local" number and maintaining the phone number I had for years. Moving my old number to Google Voice allowed me to do both. Be ready for trial and error, at the start it can be a little difficult, but once you have it all figured out it is great. We often move sites, as we have multiple sites, and having a google number insures we have constant way to contact us. "Google Voice- The good, the bad, the ugly"
Google voice requires becoming integrated with other Google services and platforms, if that is not your desire, then Google Voice may not be the best service for you. Google voice offers the ability for chat, hangout, and phone services all in one place which allows business communication to be aggregated in one place.It is beneficial in being able to setup local numbers for remote business opportunities and connections. The transcription service is beneficial in documenting and recording calls. "Another solid product from Google"
Google Voice is just about everything you need in a free VoIP client, and a simple way to get one of many available phone numbers. I turn to Google Voice for most of my business communications, and it routes everything through my phone so I don't have to work through apps/desktop clients. Rendering the hangouts pop-up when you want to make a call can be quite frustrating, and of course lack of support for long distance is something to live with. No new accounts for those already on Google Apps, go for it no questions asked. I don't want to give my personal phone number to potential clients, and Google Voice allows me to retain a degree of separation while keeping everything in my browser. Google voice is reliable and all spoken word is clear. Having to download an app to get full use of it. Have not had an issue and it extremely helpful as so I'm not giving out my personal phone number for business purposes. "I really miss this service!" "Google is great! Though not in this case. " I liked that I was able to get another number to use. I really really liked this actually, but I wish it was easier to use. I hated the set up. It is confusing, very confusing and the support lacks, just like most Google products. Use something else, it's very difficult to understand how to use this, screen calls, and forward calls, and get it all connected to your Google account. I could never figure out how to get my computer to stop ringing when I was logged into to Gmail when I received a call. There are much better solutions out in the market. "Convenient way to stay in touch without your mobile phone"
I like that Google Voice assigns you a U.S. phone number based on what we'd like to choose from available numbers in selected area codes. It's also awesome that it's free! It would be nice if the account could also assign you an international phone number for when you're overseas and would like to be reached via the international number. Google Voice is a decent application to use. However, for overseas use you might consider other apps. There are currently no business problems I've had to solve with this product. However, I could see how it could be useful for business. "Have been using Google Voice for years "
My absolute favorite part is that you can read voicemails via email. They are displayed as a text. You can also read text messages on your email, or via the google voice account. So if you lose access to your phone, you can still check voicemails or text messages. You can also send texts from your email as well. Placing free calls abroad is great too! I get a lot of emails since every text is emailed to me as well. Have your emails from good voice go to its own folder since there are so many. Being able to read voicemails without having to get up and leave my desk to be able to hear them. "Life saver for calling while abroad"
"The Best Calling Service to Receive and Place Calls"
The ability to place and receive phone calls on your phone,email, text on any brower on your phone, block any phone numbers you wish, and call forwarding to any phone line. Only downfall i noticed, that there is no customer Service, other then that everything is TOP NOTCH! Best service you will find on the internet for a secondary line. Using this as my call forwarding/voicemail for my business. I love that I can separate business and personal life by using Google Voice. Sometimes I have errors where my messages do not go through or my calls are not sent through immediately. This doesn't happen very often but when it does happen it is extremely disappointing. Most of my employees did not like having to communicate using their own telephone numbers and Google Voice gives us a way to separate business and personal life. "I've been a user since this was GrandCentral"
GV is integrated with my Android phone. I use my GV number for everything. Call screening is awesome! Other features I have grown to love - voicemail transcription, caller blocking, call screening, personalized greeting, SMS, and international calling. GV to GV calls have been a little shaky lately. GV allows you to have one phone number across multiple devices and there are a ton of features like call screening, VM translated to text, integration with Android phones, etc. It's a great service for FREE. I'm a recruiter and GV allows me to have one phone number across multiple devices. Google Voice offers some great features like being able to block calls and texts from specific numbers, forwarding calls to different phones, and transcribing and sending you voicemails. I also like how all your calls and messages are visual and laid out like a Gmail inbox. It is a decent service that will hopefully get better as they integrate it with the new Google Hangouts. The service is a little clunky and in need of Google update to bring it in line with their newer products. The transcribed voicemails are neat, but are often inaccurate, it would be nice to see them as accurate as Google Now's voice transcription. Their iOS app also need to be updated visually and with more features. Google Voice is another decent free service from Google. It could use some work and updating, but it is a good start and I think it will only get better.